A huge weekend of hockey is fast approaching for Clydesdale Western 1s on Saturday, whilst the Men’s teams are fast approaching the end of the league campaign. Clydesdale Western 1st XI will enter their third consecutive Women’s Grand Play-Off Final – a 2.00pm passback on Saturday at the Glasgow National Hockey Centre – knowing that a win against opponents Western Wildcats will seal qualification for European competition hockey next season. ‘Dale Western edged out Dundee Wanderers with a 5-3 scoreline in last Saturday’s Semi Final at Titwood, whilst a 1-0 win was enough for Wildcats to see off Women’s National Division One champions Edinburgh University at Peffermill. With Uni already guaranteed a European spot due to their league title success two weeks ago, the winners of the Women’s Grand Play-Off Final will secure the second and final European spot for Scotland. The L1s will be hopeful of securing a Play-Off win following back-to-back losses in their previous two Finals. Both losses were against Edinburgh University – including an agonising running penalty loss in last season’s Final. 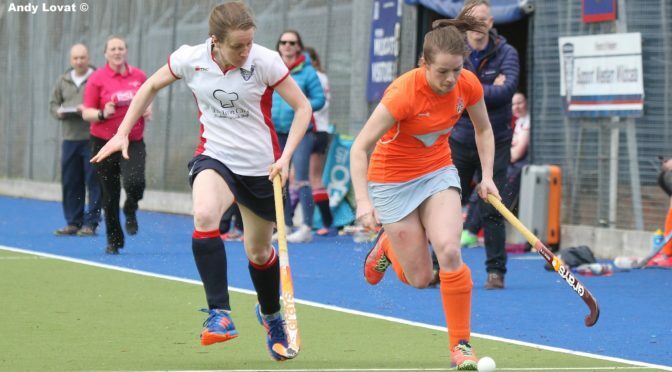 But with the league champions out of the running for Play-Off success, the door is open for either Clydesdale Western or Western Wildcats in Saturday’s showdown which will take play at Glasgow National Hockey Centre. The two sides have played twice in scheduled league fixtures, with the first contest being a 2-2 draw at Auchenhowie in the league season’s opening game before ‘Dale Western clinched a 2-1 win at Titwood in November. For Saturday’s Final, Derek Forsyth welcomes back Laura Mann, who missed last weekend’s win against Dundee Wanderers. Heather Howie still remains out with a broken arm. To attend Saturday’s Grand Final, tickets are now available to be purchased online. To buy your tickets in advance – with 50% of the funds going to Clydesdale & Clydesdale Western Hockey Club – please click here and follow the simple steps. The M3s and M4s play out their penultimate game of their respective league campaigns, whilst the M5s and L4s finish this weekend. The M3s will play on Sunday from 12.15pm against Uddingston 2s at Titwood. In Men’s West District Division 1A, the M3s are a point behind Glasgow University 2s in fifth place and will still be hopeful of catching the students with two games remaining. The L4s also play on Sunday away to Dumfries 1s, 1.30pm PB. A win for the L4s in their final match of their Women’s West District Division One could see them jump up three places in the table to finish third. On Saturday, the M5s finish their respective campaign in Men’s West District Division Three, with a home match against Ayr 2s (1.00pm PB). A win tomorrow could see Karl Richmond’s team finish ninth in the league. The M4s have their second last game of the Men’s West District Division Two season away to Hillhead 5s from 3.00pm. Three points could see the M4s overtake their opponents in the league table to sixth place.